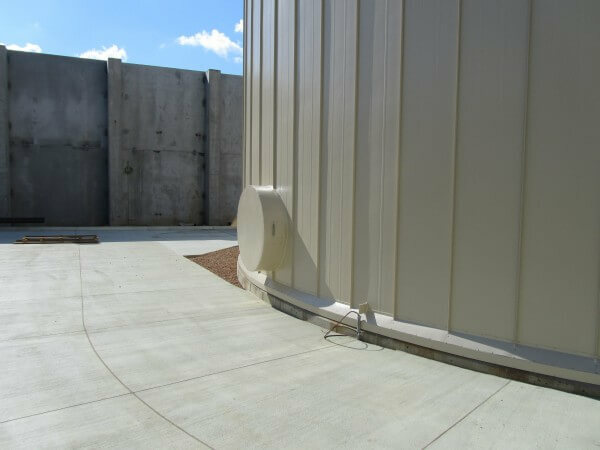 MC&I designed, manufactured and installed the RIDGLOK® Vertical Standing Seam Panel Insulation System on a welded Thermal Energy Storage (TES or chilled water) ground storage tank, for UnitedHealth Group, located in Chaska, MN. 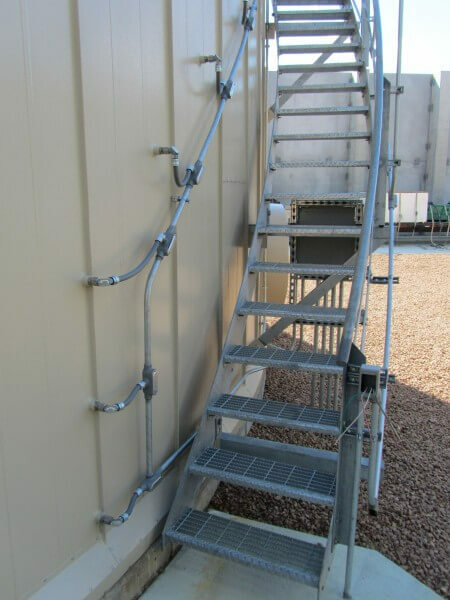 The thermal energy storate tank (TES) was a 53.5′ diameter x 33.5′ high welded tank, with a spiral stair casing and roof walkway platform. 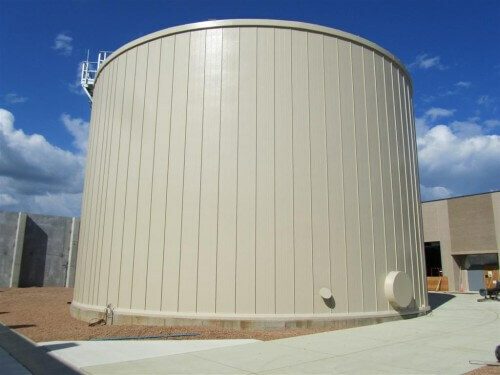 The storage tank insulation project was completed in August of 2011. The RIDGLOK® Vertical Standing Seam Panel Insulation Systemconsisted of 0.024 stucco-embossed aluminum metal jacketing in Fawn color, laminated to 2″ of polyisocyanurate insulation board (R-value of 13), using a radial roof pan system. 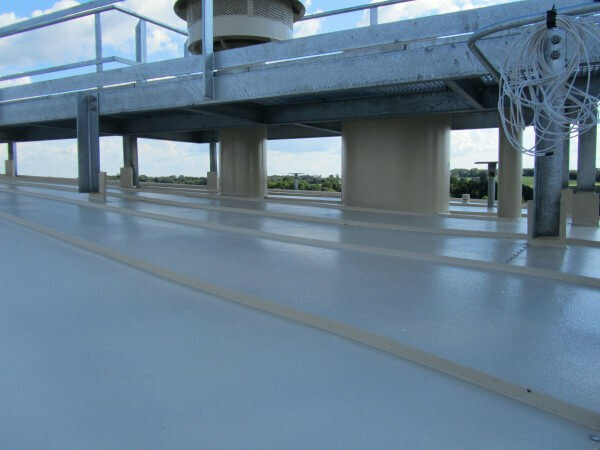 The base of the tank had a foundation flashing detail applied to meet the engineering specification for this Thermal Energy Storage (TES) tank (chilled water tank).